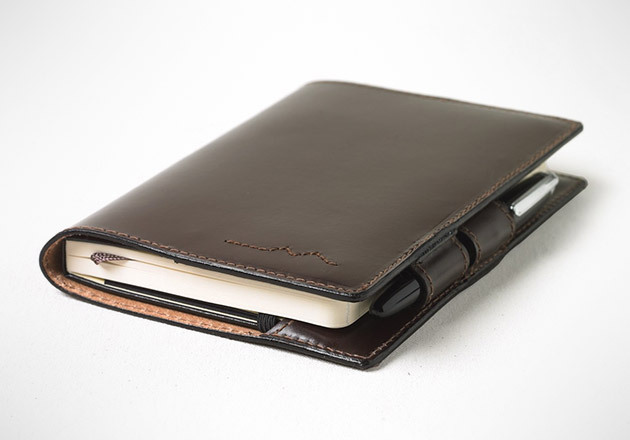 Outfit your Moleskin notebook with a handsome Matt Moleskine Cover from Millican ($80). Handcrafted in England, its oak bark tanned, bridle leather construction is both tough and sophisticated, and acquires a nice patina over time. The Matt includes a Moleskin ruled notebook and a handy pen loop closure.